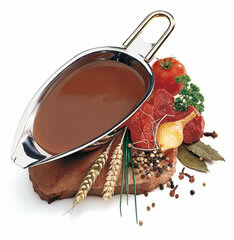 Wallbridge can assist you with your requirements for Soup Blends, Gravy and Demi Glace. A distinction is made between clear soups and thick soups. A clear soup consists of a clear broth and any ingredient, such as noodles, vegetables or dumplings. All other soups, for example puréed soups or cream soups, fall under the category of thick soups. Soups are as peciality of Hügli. 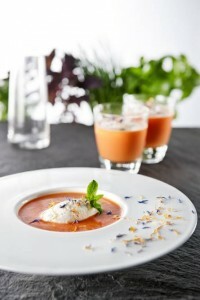 Accordingly, the assortment of Hügli soups is extensive and ranges from classics, such as tomato soup or vegetable soup, to ethnic soups, such as miso or Thai, and gourmet soups, for example carrot and orange cream soup. Gravy is a sauce, made often from the juices that run naturally during cooking and often thickened with wheat flour or cornstarch for added texture. Contact Wallbridge for more information on Soup Blends, Gravy & Demi Glace products. Fill in the form on the right hand side of the page and we will be in touch shortly.